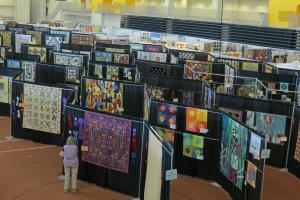 When does a quilt show become a Quiltfest? When it takes your breath away! Prepare to be breathless and amazed at the creative vision and artistry displayed by the 600 entries at QuiltFest 2017. 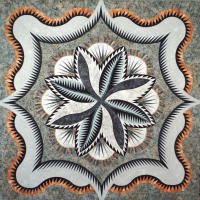 Witness quilting in all its various forms (vintage, traditional, contemporary, modern and art) and sizes (large, small and in-between). Entries have the choice of being professionally judged. Daily activities include workshops, lectures, demonstrations and special events --- sew blocks that will be made into quilts for Finger Lakes Quilts of Valor; attend “Focus on Fashion – Makers and Models II” where Genesee Valley Quilt Club members will model wearable clothing, including upcycled/repurposed. Special exhibits include national award winning quilts by GVQC members; primitive and folk art; antique and toy sewing machines. Since its inception in 1936 GVQC’s motto has been “Help One Another”. That tradition continues today through GVQC’s Love and Comfort Quilt program which supplies quilts and pillowcases to prenatal clinics, community hospitals, veteran organizations, social service agencies, and nursing homes. Another long standing tradition of “helping” has been awarding grants and donations to area not-for-profits involved in quilting. This tradition continues with awarding Finger Lakes Quilts of Valor the proceeds from the 2017 raffle quilt “Passage to Bombay”. Raffle tickets will be available at the show. Drawing to be held Sunday, June 4 at 3:00 p.m.
A highlight of QuiltFest 2017 is the Susan B. Anthony House and Museum’s 2020 Quilt Project exhibition, a collaborative effort with the Genesee Valley Quilt Club. QuiltFest 2017 will be the first display of the 2020 quilt blocks created to celebrate women’s right to vote in New York since 1917 and the 1920 Constitutional Amendment which gave women the right to vote. The completed quilt, or segments, will be traveling exhibits during the 2020 Centennial Anniversary of the 19th Amendment. Any person, group, or organization may create a block for inclusion in the 2020 Quilt.